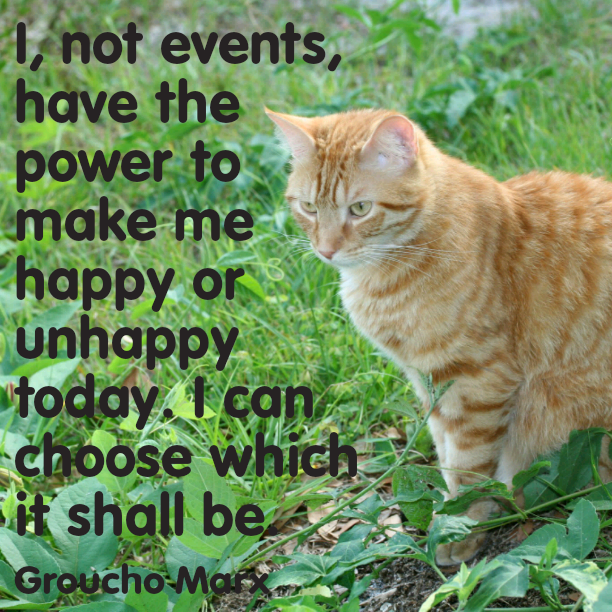 Today I am choosing to be happy. At least as happy as I can be. You see, my little kitten, as I called him, died suddenly on Wednesday. Moses was a fighter, he was brave, he was a sweetheart, and he taught me a lot in the 5 years he was with us. I’ll miss listening to his purr as I held him, I’ll miss his orange fur, and I’ll miss watching him hop as he walked. My face and eyes hurt a lot less, since I’m choosing to be happy today; happy that I knew Moses, happy that I got to spend time with him, and happy that I could give him a good home for the short time that I did. I’m sorry for your loss, it is very hard when an innocent member of the family dies, but be happy that you got to spend the time you had with them. Thank you Dom. I am happy that I had the time that I did with him, and I try to remember those happy times. Thanks for your thoughtfulness.